‘Traces of Nitrate: Mining history and photography between Britain and Chile’ explores the histories and legacies of British investment in Chilean nitrate mines and involvement in its global trafficking. 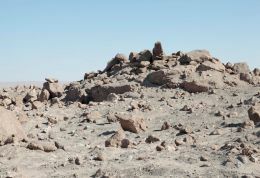 Through an examination of sites, artefacts images, the project will trace nitrate’s route from natural mineral state processed in the oficinas of the Atacama desert through transported commodity and stock market exchange value to become, ultimately, part of the material and symbolic inheritances of London mansions and of estates in the capital’s surrounding countryside. 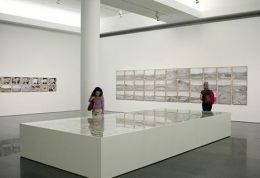 It undertakes new photographic documentation of geographically disparate but historically connected landscapes, remote nitrate fields, structures of copper mining and metropolitan financial districts, accompanied by an analysis of nitrate’s material and visual culture. As a basic ingredient of both fertilizers and explosives, nitrate was intimately connected with the industrialization of life and death, yet an account of its production and trade, including the pivotal role played by British merchant houses and adventure capitalists, is quite unfamiliar beyond specific research communities devoted to Latin America economic development. Thus, Traces of Nitrate, directly addresses a lack of historical understanding and cultural awareness of the significance of the nitrate industry by disseminating its research through a photographic exhibition and programme of public events as well as scholarly publications aimed at interest groups in and outside the university sector. 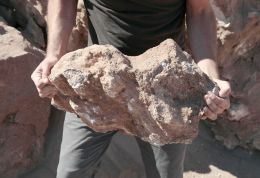 The project seeks to uncover the extent to which a once highly prized mineral was at the centre of the relationship between Britain and Chile between 1879 and 1914 and how, in this period between the beginning of the Pacific War and the outbreak of the First World War, it was connected to fortunes of the City of London and the ports of Liverpool, Pisagua and Iquique. Exhibitions, seminars and presentations from the project researchers.